Kodaikanal, also known as “Queen of Hill Station” and is a famous hill station in Tamilnadu. The place is famous for peaceful weather and amazing cottage stays. Best cottages in Kodaikanal are perfect to enjoy with family or friends. Cottages are the best place to relax and have its own charm. The city offers outstanding views of Hills, lakes, valleys. We have a list of some of the best cottage stays in Kodaikanal to make memories. 1.Hillington Cottage: Hillington Cottage is a lake view villa, perfect to refresh your mind and body. It is one of the best cottages in Kodaikanal near the lake. The cottage is owned by an Englishman and has a caretaker to take care of the needs of the visitors. 2.Pink House Cottage: It is a cottage located on the hilltop. The cottage offers amazing views of nearby hills. The cottage has a hall for an accommodation of 10 people with a modular kitchen. It is one the best cottages to enjoy a quiet vacation with family or friends. 3.Srivari Villa: It is one of the best places to visit in Kodaikanal, which is just 3 km away from Kodai Lake. The cottage is the heart of Kodaikanal. It is the place which makes tourists fall in love with. 4.Villa Le Visa: It is one of the independent cottages in Kodaikanal. The cottage is popular for its independence and luxurious stay with beautifully designed bedroom and private yard. The cottages give the best view of the mountains. 5.Jacaranda Villa: It is one of the best cottages for those who want luxurious holidays in Kodaikanal. The cottage offers everything to make the holidays refreshing, like beautifully designed bedrooms, private kitchen, free wi-fi. 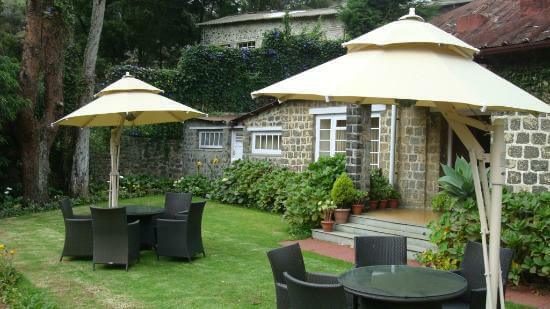 6.Little Castle Cottages: It is one of the best cottages in Kodaikanal with well-designed rooms and garden. The cottage is also known as House of Pegasus. The cottage offers all facilities like parking, kitchen and private guide.